While we would all love to drive our MINIs 24/7, there are those times when we simply must leave them behind. But now, you can take a MINI anywhere, anytime with the Go MINI Stunt Racers. The Go Mini Stunt Launcher is compatible with G0 MINI Stunt Racers and includes a unique stunt racer. Charge the stunt racer using the stunt launcher and then release! No batteries required! Go MINI Stunt Racers are available fromt Toys-R-Us. for $9.99 each. The Go MINI Stunt Launcher is $19.99. 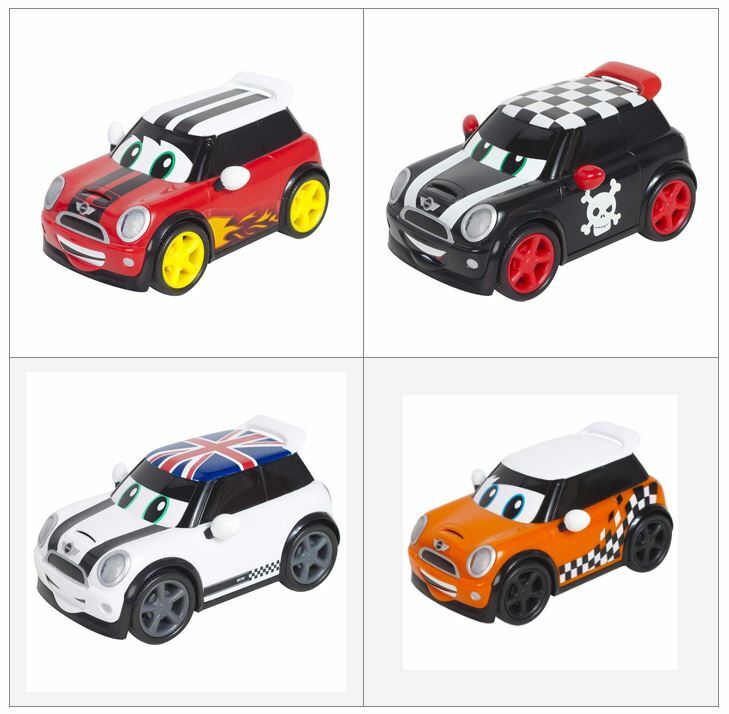 The Go MINI Stunt Racers are made by Golden Bear Toys under license from MINI. See also the Go MINI Crew-zers, Go MINI Freestylers, and Go MINI RC Wolf.